The way we treat and interact with our customers has changed SUBSTANTIALLY over the past century. 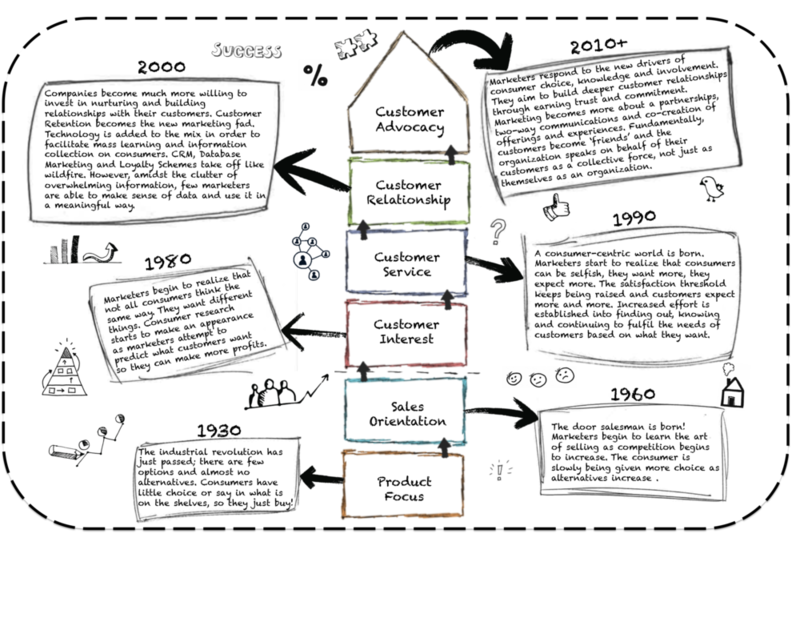 There's no arguing that some companies have had a customer-focused mindset throughout their lifetime, but for the most part, this info-graph depicts the generic 'Customer Marketing' approach that companies have adopted over the past 86 years. What can you take away from this? Some nice historical learning that will put into context just how distant we used to be from our customers to how they are now an ESSENTIAL part of the Marketing Mix. Oh, one last thing... this is entirely hand drawn!